Enjoy the best inspirational, motivational, positive, funny and famous quotes by Anita Briem. Use words and picture quotations to push forward and inspire you keep going in life! 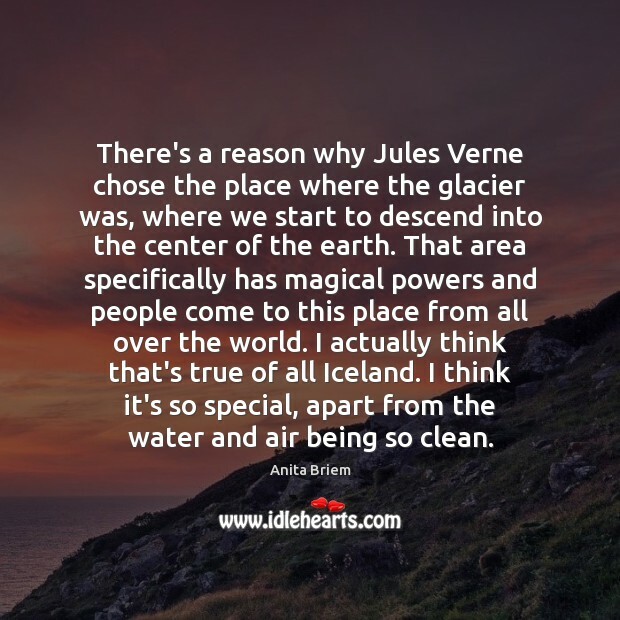 I try to show everybody Iceland all the time. My people are like, "Don't tell everybody the secret. It's so peaceful and beautiful here!" 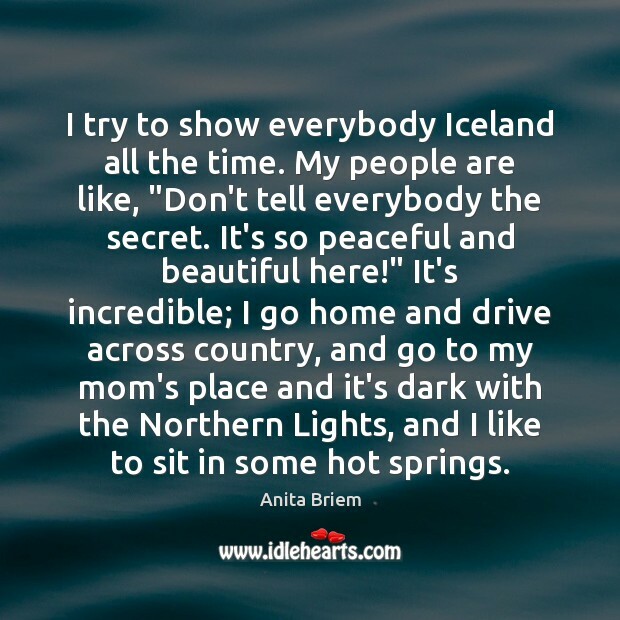 It's incredible; I go home and drive across country, and go to my mom's place and it's dark with the Northern Lights, and I like to sit in some hot springs. 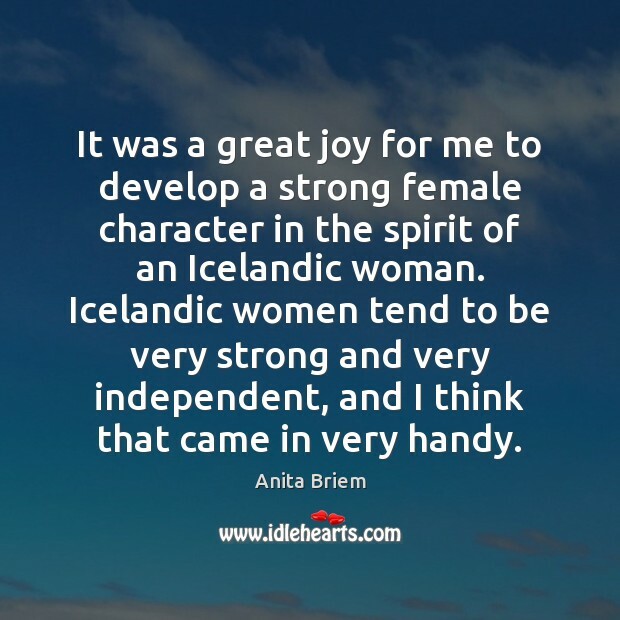 It was a great joy for me to develop a strong female character in the spirit of an Icelandic woman. Icelandic women tend to be very strong and very independent, and I think that came in very handy. 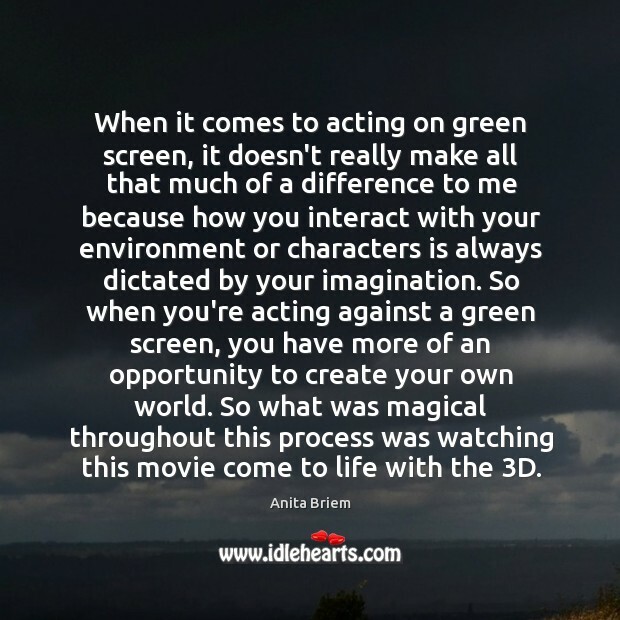 When it comes to acting on green screen, it doesn't really make all that much of a difference to me because how you interact with your environment or characters is always dictated by your imagination. So when you're acting against a green screen, you have more of an opportunity to create your own world. So what was magical throughout this process was watching this movie come to life with the 3D.